As I start on 2017, I’m looking ahead to a whole different year, an entirely new adventure. During 2017 (and perhaps beyond), I am a nomad. I’ve given up my apartment and nearly 80% of my physical possessions and I will be living out of just a carry on bag and a backpack. This reset has prompted a new way of thinking when it comes to my office/workspace and daily routine as well. Surprisingly, many of the discoveries I’ve made about my new day-to-day life also apply to entrepreneurs who do their work in the same office or at the same desk each day. Read on for my three biggest discoveries. (1) It’s not about where you work but how you work. The thing that I was most nervous about when planning to go nomad was that my focus would diminish significantly. Working out of coffee shops, hotel rooms, airbnbs, and other random locations around the world seemed like the ultimate productivity killer to me – no consistency! I’d have to pack up my workspace each night and lay it back out again each following day. However, it’s actually been incredibly refreshing thus far. The first step I took was to digitize my entire filing cabinet by scanning in documents and sorting them in Dropbox. Now, instead of wondering whether I kept my tax papers in the “TAX” folder or the “MONEY” folder in my filing cabinet, I just search Dropbox for “2015 taxes.” Talk about a time saver. I also downsized the sheer number of notebooks, pens, etc. that I have and it’s actually become a source of consistency to return to the same notebook and the same pen each morning. The biggest lesson for me? It’s not about where you work, but how you work. Working smarter has alleviated any challenges that going nomad posed. When preparing to go nomad, I was scared that my clients were going to be upset that my calendar would be complicated – today I might be in the eastern time zone, tomorrow I might be in whatever Morocco’s time zone is. I was concerned about all the cancellation fees I’d have to pay for things like Comcast when I moved out of my apartment. However, by sharing my story, my clients actually engaged in the adventure and one of them even encouraged me to start a monthly email newsletter to share how the nomad life is going and if there were any things that non-nomad folks could learn from my journey. Comcast actually waived my cancellation fee because I was physically unable to transfer my services to a new location. The biggest lesson for me? Sharing is better than trying to keep all those fears to yourself, regardless of the topic. (3) Be open to new opportunities. This seems like such a cliché and storied statement, but it’s surprising how set we get in our ways. As I was packing up my apartment for donation, I realized that I wore the same 7-12 outfits on a rotation and hadn’t touched the majority of the rest of my wardrobe in months. As I cleaned out my pantry, I realized I ate the same 5-6 meals on a loop. “Going nomad” opens you up to the obvious opportunities like trying new foods from different countries and regions, but there’s also a business lesson here. Are we eating the same metaphorical 5 meals in our business? 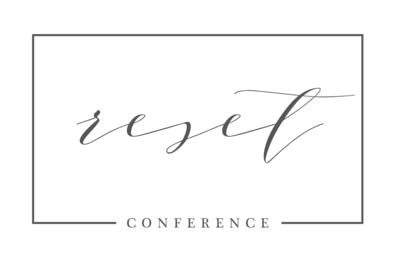 Do we do the same thing day in and day out and then wonder why we haven’t experienced tremendous business growth? The biggest lesson for me? Take a peek at what you’re doing on a day to day basis. Are there ways to tweak and improve things? 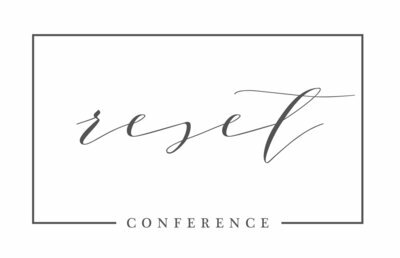 Be sure to check out Dannie’s session at this year’s Reset Conference! !